The LCA will work to tackle the tragedy of domestic violence with a church-wide campaign of resources, education and pastoral care. The General Church Council (GCC) was given the go-ahead for the move by convention delegates, who also endorsed the church reaffirming its ‘condemnation of all forms of violence in the family’, following similar resolutions by the 1993 and 2003 general synods. Raw nerves were evident as delegates considered the issue of domestic violence experienced in homes across Australia and New Zealand, between husbands and wives, partners and children. As they came to the microphone, delegates reflected on different ways in which violence impacted on their lives or on the lives of people whom they know and love. One delegate—a part-time prison chaplain—encouraged his fellow delegates to speak up and to model Christ-like behaviour in family and public life. ‘We are all important in maintaining a society where respect for each other is valued. Be aware that we are a part of shaping our society, that Christ’s command to love God and to love our neighbour needs to be practised in our families, in our communities and in our society’, he said. A couple of delegates reminded the synod that churches could play a practical role, to be places where love comes to life for victims of abuse. ‘Women escaping domestic violence desperately need somewhere safe to go. Can the LCA commit some of our resources to providing refuge and succor for them?’ they asked. Submitted by the GCC, LCA Royal Commission Working Group and the Commission on Social and Bioethical Questions, the proposal was presented to Synod due to the alarming extent of family violence in Australia. A further reason for the proposition was that the ongoing Royal Commission into Institutional Responses to Child Sexual Abuse has been unable to address this issue in addition to its important working brief. The proposal’s supporters highlighted the terrible pain caused by violence, including sexual violence, within families, and noted that the extent of family violence in our society has led the Victorian government to establish a Royal Commission. In South-East Queensland, the home region of this Eighteenth General Convention, three people – two women and a six-year-old girl – were killed within four days recently in alleged domestic violence-related incidents, while another woman allegedly was attacked by a former partner with a machete. 1 in 4 Australian women had experienced emotional abuse by a current orformer partner. Sixty-one per cent of Australian homicides between July 2008 and July 2010 occurred in a residential location, and domestic homicides accounted for just over half of these incidents. Of people aged 12–20 years, 23 per cent had witnessed violence against their mother or step-mother, while 42 per cent of Indigenous young people had witnessed violence against their mother or step-mother. 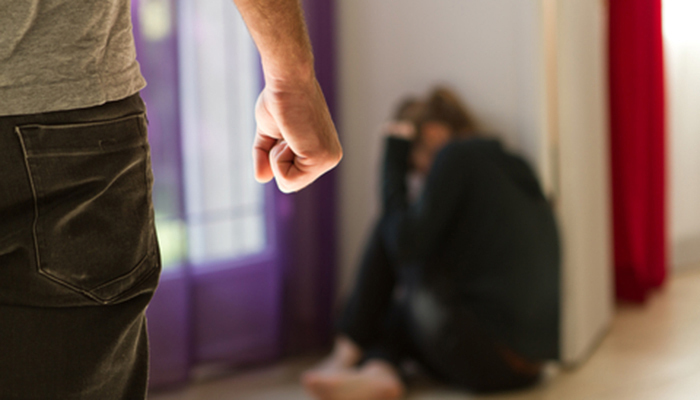 In 2009 it was estimated that violence against women and their children, including both domestic and non-domestic violence, cost the Australian economy $13.6billion. Domestic violence is a leading cause of homelessness, accounting for 32 per cent of all clients receiving assistance from specialist homelessness services in 2011–12. If you, or someone you know, is impacted by sexual assault or family violence, visit ANROWS Get Support website or call 1800 RESPECT (1800 737 732), the 24 hour, National Sexual Assault, Family & Domestic Violence Counselling Line. In an emergency, call 000.